Nurturing theatrical talent in the most chaotically organised way you could imagine. I have lived in Manchester for just over 20 years and was aware of the Moors Murders case through past TV drama’s such as ‘Longford’ and ‘See No Evil’. The story was also still current due to the recent passing away of Ian Brady earlier this year. As soon as I was sent part of the script for audition purposes I knew that I wanted to be part of this project. I feel that the story is respectfully told and know that the writer Lee Joseph has spent considerable time researching the facts and uncovering precise details to bring this story to the stage. It does not glorify the awful crimes which were committed but amongst telling the story it shines a light on and conveys the hurt and pain felt by the mothers of the children who were sadly taken. Sadly Keith Bennett’s body has not been found and there is hope that his remains are finally found and laid to rest with his mother ‘Winnie’. I remember meeting the cast for the first time and we held our first read through on Albion Street overlooking the old train station where Edward Evans met Ian Brady and it really affects you and adds a different dimension to the story. This is my first production for Organised Chaos and the rehearsal process has been brilliantly led by Neil Bell. I can honestly say that whilst considering the subject matter it may seem inappropriate to say that I have laughed and cried during the rehearsal process and that is really testament to both the incredible writing, directing and quality of actors involved. I feel so grateful to be part of this story and I am really looking forward to performing on stage for the first time at the Kings Arms, Salford. This entry was posted in Actors, Introducing, Old Ground, Productions and tagged manchester theatre, new writing, organised chaos productions, Paul Fraser-Smith, Productions, The Kings Arms, theatre on October 3, 2017 by organisedchaosproductions. I first saw the auditions for ‘Old Ground’ on a casting call out. I immediately applied for an audition as this story resonates me with me so much especially coming from north Manchester. I was very familiar with the story having been brought up with the knowledge of the evil murders that took place. Then when Peter Topping opened the case again to find the missing people, I read, (amongst newspapers) the books: A Devil’s Disciple and Beyond Belief and was mortified about the actual facts of the crimes. It was important to me to know the script wasn’t glorifying or sympathising in any way the heinous crimes committed by the two perpetrators and that it was in essence all about the victims and their families. Lee Joseph the writer, with his brilliant, well-researched script, didn’t fail to convince me it was the right thing to do to play the part of Joan Reade whose daughter Pauline was one of the victims. I hope I do Joan justice. It is an ambitious, brave script that tackles a time of pure evil and agony. Something I hope we never witness again in our lifetime. I am honoured to be cast amongst very talented actors and a fantastic director, Neil Bell to bring this play to the stage. It is my first production with Organised Chaos and I am thoroughly enjoying the rehearsal process and I’m excited for the show to have its first run at the Kings Arms. This entry was posted in Actors, Introducing, Old Ground, Productions and tagged Elizabeth Poole, manchester theatre, new writing, organised chaos productions, Productions, The Kings Arms, theatre on September 24, 2017 by organisedchaosproductions. I’m Geoff and have been enjoying the thrill of the stage since getting the bug at Junior School (back in the days of slate chalkboards!) but I recently took the bold step of taking early retirement to allow me more time for me to indulge my passion for acting and directing. I have never chosen to specialize in one genre, preferring to experience a wide range of theatre and have enjoyed pantomime, musical theatre, comedy drama and thrillers but the weighty drama has always had a stronger appeal. When the opportunity to get involved in Old Ground came up it was just too good to miss and that’s what drove me to succeed when it came to an audition. But from the first conversation with writer Lee Joseph to meeting director Neil and the rest of the company I felt like I have been welcomed into a very warm, supportive family making the two hour round trip to rehearsals not a chore at all! The subject matter of the play may be on the heavy side but Lee’s intelligent and sympathetic approach to telling the story has lead to a piece that is so eminently watchable and totally engrossing. I’m sure that the Kings’s Arms audiences are in for a theatre treat. This entry was posted in Actors, Introducing, Old Ground, Productions and tagged Geoff Baron, manchester theatre, new writing, Old Ground, organised chaos productions, Productions, The Kings Arms, theatre on September 23, 2017 by organisedchaosproductions. Hi I’m Anne Baron and this is my first production with Organised Chaos. It is also another first for me as I’ve never written a blog before, so here goes! I have been acting for many years in many different types of production ranging from serious drama to musicals to pantomime and now welcome the challenge of playing character roles, enjoying playing in both comedic and thoughtful drama. As soon as I saw details of Old Ground my interest was piqued. I am of an age that I remember all too well the events of the mid 1960s and I have always had an interest in any developments regarding the subject matter addressed. So, I felt I had to try and take the opportunity to be involved in the project. I was thrilled to be offered an audition and was delighted to secure the role of Winnie Johnson. The read through took place several weeks later and was emotional as this was the first time the cast had all been together, and was the first time I had met our director Neil Bell! It also proved that this would indeed be a true team effort. Rehearsals have been intense as the cast strive to develop their characters but have been very enjoyable and we are now moving swiftly to performance. 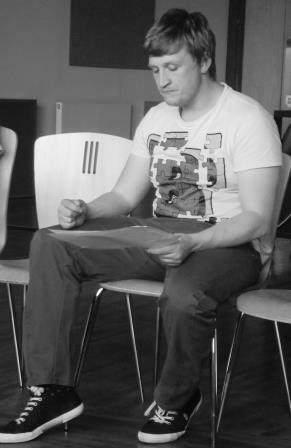 Lee has written a very informative, descriptive and touching script which is a pleasure to perform. I can’t quite believe that I am working with such a lovely, committed cast and creative team on this, in my opinion, excellent piece of writing. I am very excited to be part of the production and hope that the audiences at King’s Arms, Salford appreciate out telling of this piece of Manchester’s social history. This entry was posted in Actors, Introducing, Old Ground, Productions and tagged Anne Baron, manchester theatre, new writing, Old Ground, organised chaos productions, Productions, The Kings Arms, theatre on September 23, 2017 by organisedchaosproductions. Hi, I’m Dan Sheader, I am a 28-year-old graduate of ICAT (Independent Centre for Actor Training) based in Manchester. I have spent the last 5 years studying Acting and Performance and worked hard to develop my tool kit that I am overjoyed to be utilising for the first time on Old Ground. I was attracted to this project initially having heard wonderful things about Lee Joseph’s writing and the successful growth of Organised Chaos Productions. The subject matter has always been of interest to me and Lee’s beautifully written script and my love for theatrical performance married with British history, solidified this production as a must! I had to audition! Fast forward a few weeks and I was lucky enough to land the role of Dickie, and call myself a cast member. The process so far has been nothing but fun, energetic and, for a graduate actor entering the professional scene, very educational. We had a wonderful cast read through to get the wheels in motion and we are now full steam ahead into our rehearsal process. I am so excited to be working with a hugely committed cast and creative team and urge anyone to come and see this wonderfully constructed piece of theatre and cannot wait to share it with our audience at the Kings Arms, Salford. This entry was posted in Actors, Introducing, Old Ground, Productions and tagged Dan Sheader, manchester theatre, new writing, Old Ground, organised chaos productions, Productions, The Kings Arms, theatre on September 7, 2017 by organisedchaosproductions. I am a 27 year old Actor/Writer/Presenter, who studied Acting and Script writing at Manchester Metropolitan University. 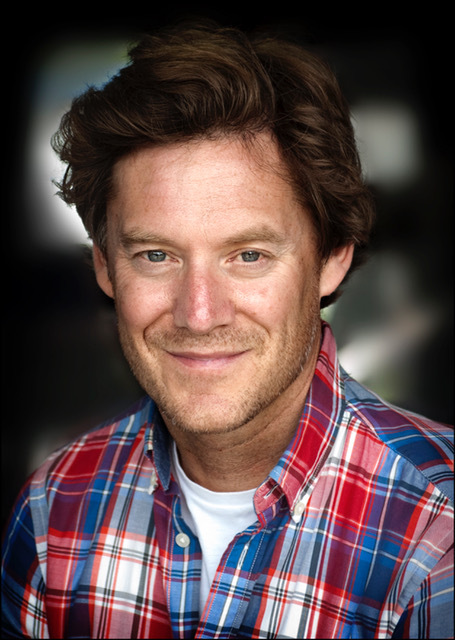 I have been working professionally as an Actor for 3 years now, in which time I have worked in every medium ranging from Film and Theatre, to Improvisation and Voice Over. I have worked for the BBC, ITV, 24/7 festival, The national trust, as well as various theatre companies such as Organised Chaos. This will be my third time working with the company, though only the first on a full production. I was intrigued when I heard about Light Speed. Apart from the brilliant locations the show would be on, the North West tour and the funding attached, I was attracted by the prospect of the script. The play lends itself to telling a story in an unfamiliar way- It starts at the end and works its way to the beginning. But the characters have so much depth, with there being a great opportunity to explore the relationship between the two with a non linear time frame. Also, the fact the story may appear subjective to each character and the emotional issues both face, it allows us as actors to find a hidden reality from the trauma both suffer. Organised Chaos seem to be a company on the up. They have good solid connections across the North West, have secured Arts Funding at a time where, economically, the country isn’t at its strongest and the Arts are being heavily cut, whilst providing a platform for performers based in Manchester to showcase their ability. Hard work and commitment usually prevail, so lets hope this is the start of things to come when it comes to Organised Chaos. I will certainly be looking to work with them in the not too distant future. This entry was posted in Actors, Introducing, Lightspeed, Productions and tagged Lightspeed, manchester theatre, new writing, organised chaos productions, Taran Knight, theatre on June 6, 2015 by organisedchaosproductions. Why did I get involved with the show? I saw the casting opportunity on Casting Call Pro and I had an idea of who the character resembled. As an actor I think it’s important to be able to watch people and pick up on little idiosyncrasies to uncover the small truths of their personalities. Doing this I was able to get a clear understanding as to who Elliot was in the early readings of the script. What I like about it is… It relates to everyone, one way or the other. I believe that each and every audience member can relate to difficult times in life and in this case it’s caused by loss – another experience most will have felt. My main reasoning for enjoying the script is the thrusting together of two people in the face of the difficult lessons life has given them. In some respects both Elliot and Daisy work as councillors for each other, a mutual understanding builds a strong bond between the two through the piece. I also felt that the grief isn’t solely related to the deaths of Annabel and Calum, but the loss of a life they expected to unfold in the future. The unfortunate events are the sole cause for Elliot and Daisy to come together and this creates an opportunity for two people to be united and therefore love is able to triumph. Why did I want to work for Organised Chaos? I knew a couple of other actors who said they’d worked for Organised Chaos and had nothing but good things to say. I also knew Gayle from a production of The Breakfast Club back in 2008 so being able to work with her again was a nice little bonus. What has the process been like so far? It’s been strange if I’m honest. I’ve found over my time working on the fringe that each and every production is different for it’s own reasons – be it through genre, who you’re acting opposite, who has written the script or who you’re being directed by. Tony (our director) has been very open about his methods and is very keen on creating three unique shows. The idea of us going on stage and simply playing is something that really interests him. For me I almost feel a little bit naughty going on stage and doing almost anything I like. But at the same time there is an unbelievable amount of liberation to our rehearsals. I honestly don’t think I’ve ever worked with a director who’s been keen on giving us that much time and space to play in. Overall it’s been a great experience that I hope results in a fantastic production! 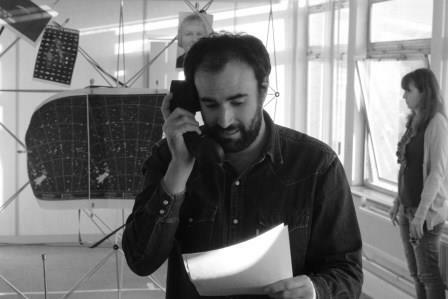 This entry was posted in Actors, Introducing, Productions, The Distance Between Stars and tagged David Bresnahan, new writing, organised chaos productions, The Distance Between Stars, theatre on November 13, 2014 by organisedchaosproductions.